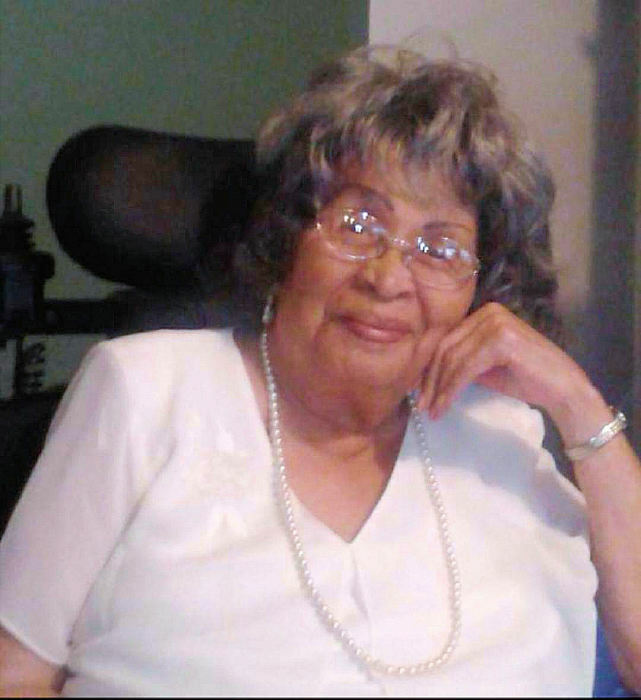 Obituary for Sammie Almetra Hill | King-Tears Mortuary, Inc.
Born as Sammie Almetra Rodgers, on April 6, 1927, to Hattie (Phillips) Rodgers and Charles Rodgers, in Austin, Texas, Sammie Hill was educated at Blackshear Elementary School, Kealing Junior High School, the Old L.C. Anderson High School and Huston-Tillotson (College) University. Sammie professed a hope in Christ at an early age and has been a member of New Hope Missionary Baptist Church for over sixty years. She joined under the late Pastor O.T. Arnold and remained a member under Pastor Roy F. Jones. She attended People’s Business College, and as a result secured employment at Holy Cross Hospital as the first black PBX [telephone switchboard] operator in Austin. She worked at Mangles Department Store in downtown Austin as an elevator operator and led a successful effort to get a stool placed on the elevator, so that the operators could sit down when there were no customers. Later, the store discovered her talent and paid her extra to “secretly” [because Blacks in Texas would not be accepted in such positions, at that time] decorate their display windows. In marriage she produced a son James Forrest Davidson Hill (Tink) and a daughter LaThema Almanette (Hill) Meeks. During the two years that she lived in France, Sammie spoke conversational Spanish and became fluent enough, in French, to act as an interpreter for her fellow Americans living out on the French economy. Upon return to Austin, in 1960, Sammie, now a single mother, built her home on Chestnut Avenue and began working as a nurse aide and continued working while going to nursing school and becoming a nurse. Sammie worked as a nurse until retirement. Those who knew Sammie admired her for her strength, character, humbleness, and love. She was a classy lady. She was a nurse, educator, community leader, activist and feminist. She was a mother, grandmother, great-grandmother and great-great grandmother. She is survived by her son, James “Tink” Hill/[Edwina Hill]; her daughter, LaThema Hill Meeks; 4 grandchildren: Aundetricha Meeks, Chandra Meeks Vaughn/[Jonathan Vaughn], Kendric Meeks, Edrich Hill; 7 great-grandchildren, 4 great-great grandchildren, one God Daughter, Yvette Carter and one great-grandson-in-law. She was preceded in death by one great grandchild, Marcellus Vaughn.